Jewels of Gujarat & Saurashtra Tour, a guided & customisable West India tour plan traversing through Mumbai, Ahmedabad, Jamnagar, Dwarka, Junagadh, Sasangir, Somnath, Diu, Bhavnagar, Palitana and other tourist highlights. Two weeks given to cultural splendour, food fiesta and enchanting sightseeing tours. 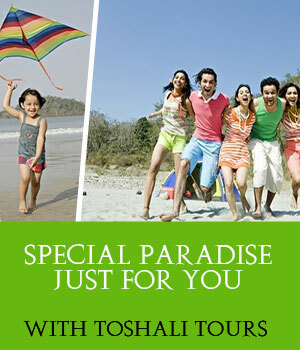 The itinerary is laced with numerous exciting features making your West India tour a memory to be cherished for life. These two weeks of travelling bliss through Gujarati countryside, with fascinating experiences of culture, food, sightseeing. Grab the essence of Gujarati spirit, enterprise and love for good life on this dream vacation through tourist jewels of Gujarat and Saurashtra. Destination Covered : Mumbai - Ahmedabad - Jamnagar - Junagadh - Sasan Gir - Somnath - Diu - Bhavnagar. Arrival in Mumbai. On arrival transfer to the hotel for check in, followed by overnight stay. Full day tour includes visit to Gateway of India, the Prince Wales Museum, Elephanta Caves & Marine Drive. Morning flight to Ahmedabad. Visit Jumma Masjid, Sidi Syed Mosque, Siddhi Bashir Mosque in Ahemdabad. Tour Ahmedabad includes visit to Hatheesing Jain Temple, Sabarmati Ashram. Morning drive to Jamnagar. Sightseeing tour include visit to the temples and to local markets. Morning excursion to Dwarka and see Dwarkadheesh and Rukmini Devi Temple. Early morning drive to Junagadh and visit Uparkot Fort & Ashoka's Rock Edicts. Morning drive to Sasan Gir Wildlife Sanctuary. Enjoy the adventurous Jeep safari. Morning Jeep Safari to the National Park. Later drive to Somnath Temple & witness traditional ritual of Aarti in the evening. Transfer to Diu and visit the battlement of Diu Fort, St. Paul's Church & St. Thomas Church. Drive to Bhavnagar, en route visit the Jain pilgrimage of Palitana. Then drive to Bhavnaga and check in a hotel. Visit Takhteshwar Temple and Gandhi Smriti Museum. If time permits also visit Velavadar Black Buck Sanctuary. Board a flight to Mumbai for your connecting flight to onward destination.